Disclaimer: this post was sponsored by Egg Farmers of Canada and I was compensated for my time. Thank you for supporting the brands who support me to make this blog possible. 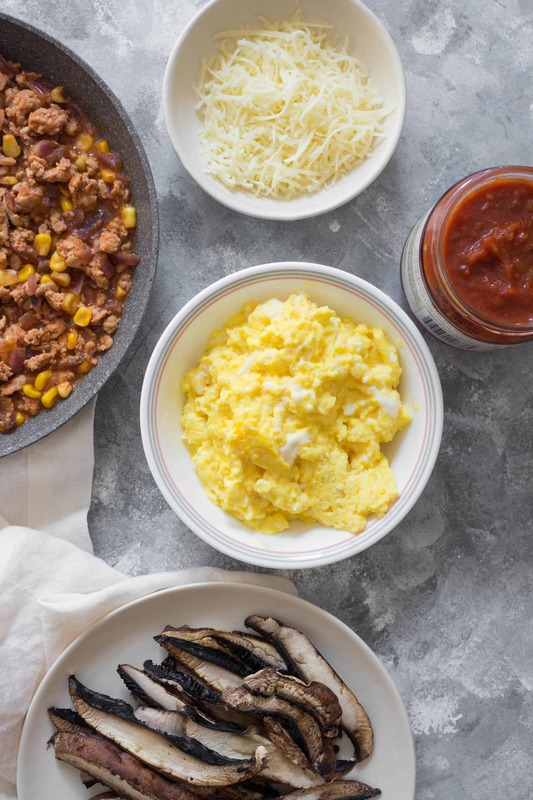 Go to bed excited for the morning with this delicious make ahead breakfast taco egg bowl! 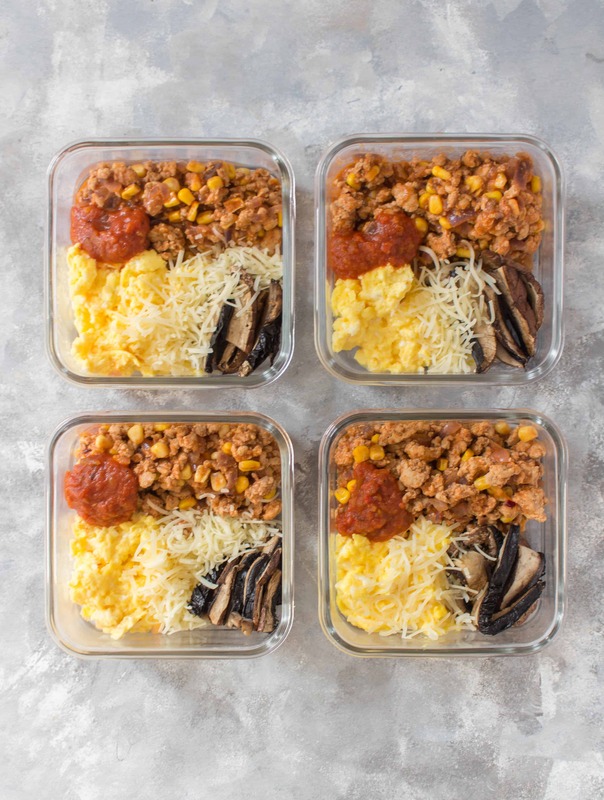 The perfect meal prep to get through the mornings and a fun way to celebrate World Egg Day! 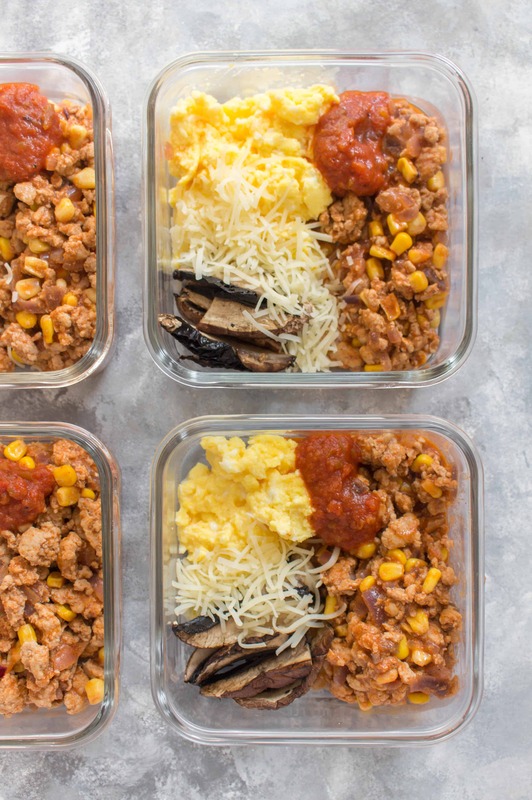 Who doesn’t love a taco bowl for breakfast?! For World Egg Day, that’s just how I’m kicking off the morning (and the rest of the week). 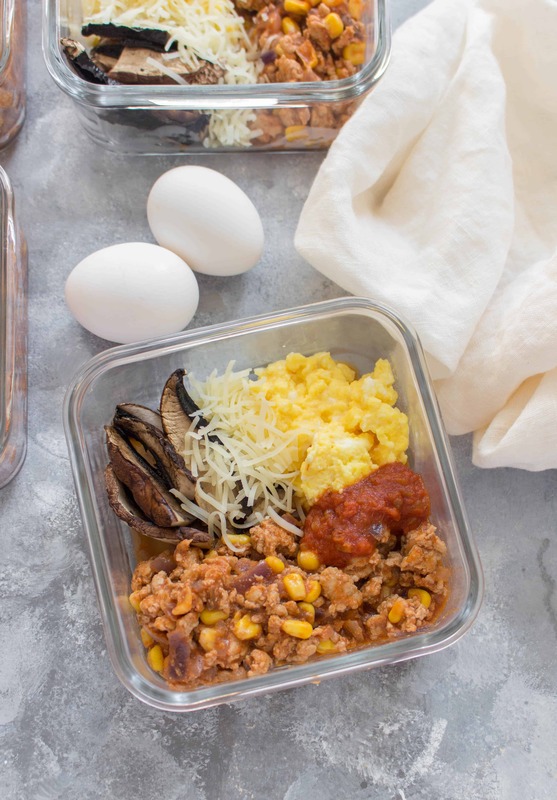 This make ahead breakfast taco egg bowl has been one of my go-to breakfast choices lately because they are so easy to make and thanks to the eggs and turkey in this, it is jam packed with protein that helps me start of the day with sustainable energy. 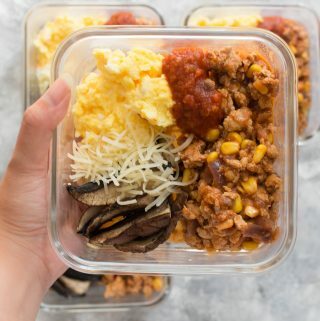 I’m a lot less likely to go around looking for a sugary snack between breakfast and lunch whenever I’m prepared with a breakfast meal prep. Be sure to enjoy a lovely egg dish today with your friends and family for World Egg Day! Did you know that Canadian eggs are produced in every province, including the Northwest Territories? Our eggs are produced by more than 1,000 farm families and no matter where you buy them from, the eggs are from a local farmer! Most of these farms are family run and the eggs that they produce go from farm to your local grocery store in less than a week. Talk about a fast and fresh breakfast! Our amazing Canadian egg farmers take great pride in providing the best care for their hens and producing eggs of the highest quality so that our families can always have fresh clean local eggs available. Egg farmers in Canada all comply to the same National Animal Care and food-safety programs to ensure that the eggs produced are of the best quality. In a skillet, mix your ground turkey with your taco seasoning of choice. Once browned, add in corn and chopped onion and mix. Add in your tomato sauce and water then cover your skillet with a lid and let it simmer. 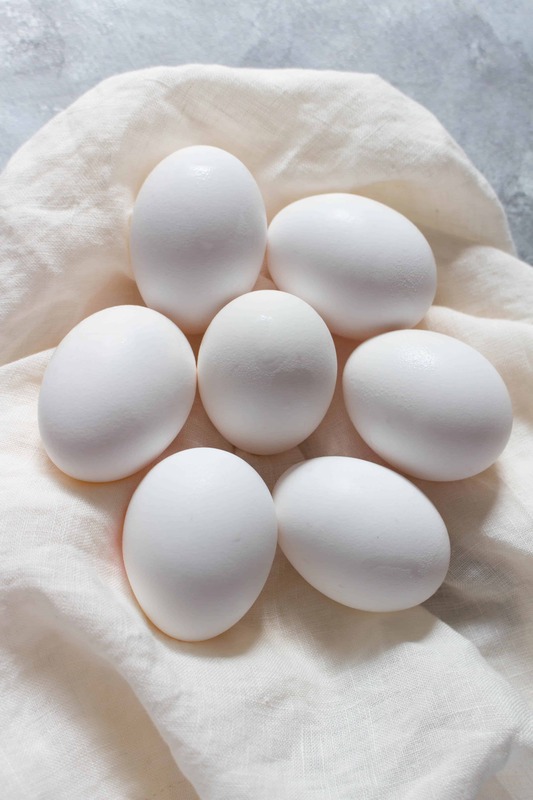 In a bowl, crack open your eggs and mix them with some salt and pepper, and a dash of milk. Once mixed, add them to a new non-stick skillet and gently stir them to make scrambled eggs. Set the scrambled eggs aside once they’re done. In the same skillet, place in your mushroom to brown. I let them sit on one side for a few minutes before flipping them over. You can also just add them to your turkey meat earlier with the onions and corn if you’d like but I chose to keep mine separate. Once everything is done, it’s time to assemble. I added some cheese on top of the eggs as well as a dollop of salsa. 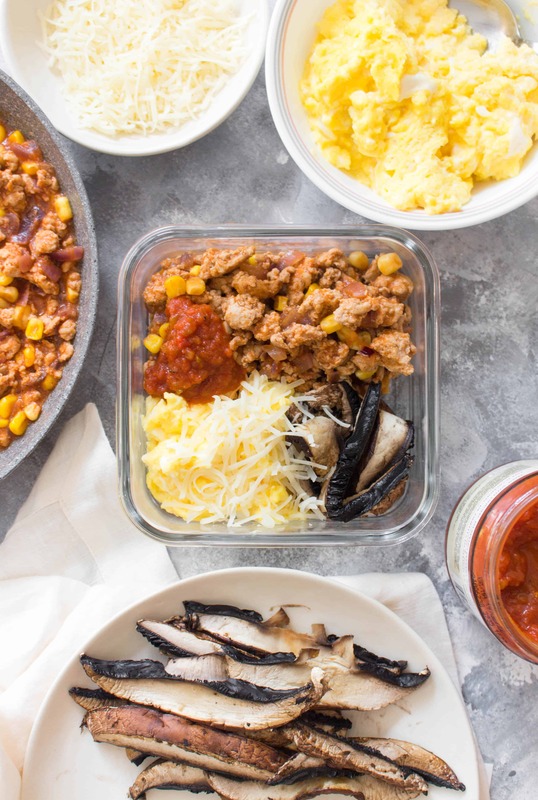 In a skillet on medium heat, mix your ground turkey with your taco seasoning of choice. Once browned, add in corn and chopped onion and mix. Add in your tomato sauce and water then cover your skillet with a lid and let it simmer on low heat. 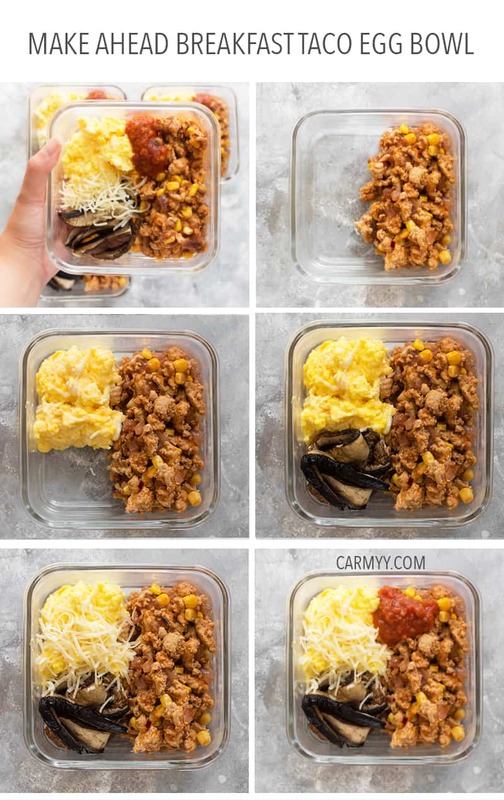 To assemble, place everything either together into your containers like in my images or you can keep them in separate containers and build them the morning of. I am obsessed with tacos for breakfast. In fact it is my favorite breakfast. I never thought to make it into a bowl though! 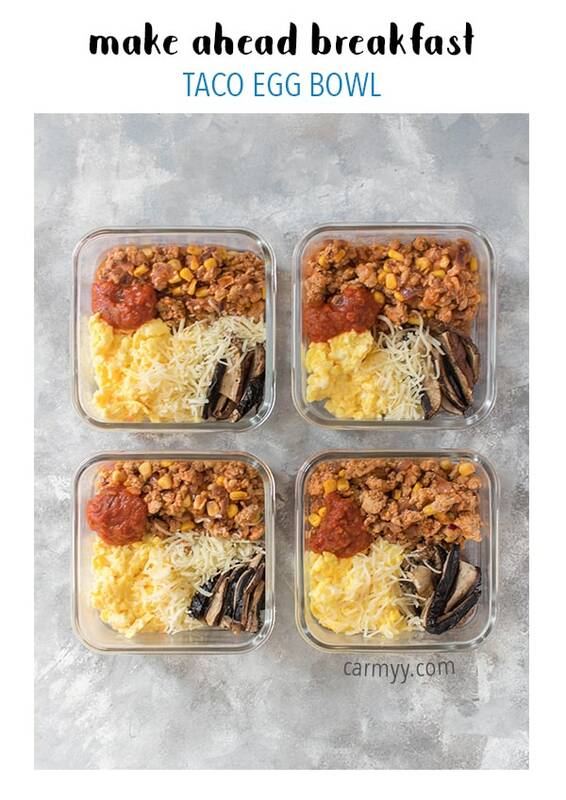 This is perfect for prepping and having something on my busy mornings. Yum! !